What happens when the sanctuary we have come to know becomes infiltrated by both budding romances and impending disaster? 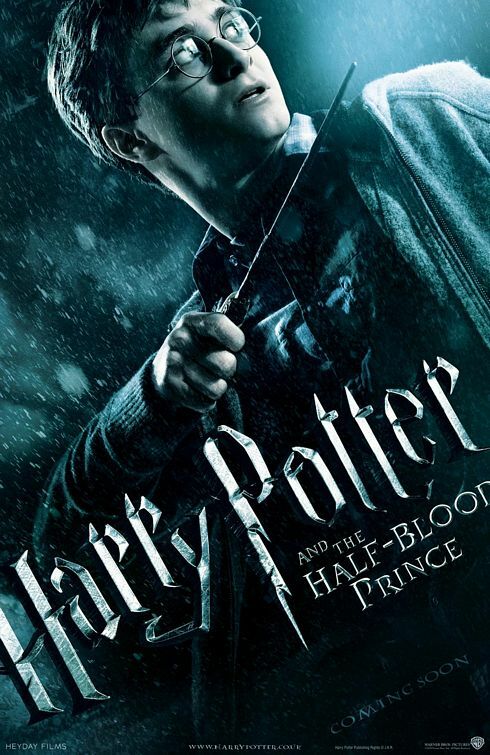 It would be expected that Harry Potter and the Half-Blood Prince, the sixth installment of the Harry Potter franchise, might feel a little old. By this point, we know the characters, the settings and the magic. And, assuming you have read the books ,we even know the outcome. Yet there is something refreshing about Half-Blood Prince. Perhaps it is because at its heart, Harry Potter is a timeless tale of good versus evil, completed by its web of complex characters and never-ending dark magic. Much like The Goblet of Fire, this movie is mostly filler. It provides more crucial background information on Tom Riddle. Likewise the brief appearances by the Weasleys, Tonks and Lupin are reminders of those supporting characters who will play crucial roles in the franchises two part grand finale. The film begins with Harry (Daniel Radcliffe) and Professor Dumbledore (Michael Gambon) on a quest to recruit former Hogwarts potions master Horace Slughorn out of retirement. Slughorn holds the key to major clue about how to destroy the Dark Lord. Jim Broadbent plays Slughorn, adding another acting great into the Harry Potter universe. Meanwhile Draco Malfoy (Tom Felton) has been recruited by the Dark Lord to kill Dumbledore. Severus Snape (Alan Rickman) forms an unbreakable bond with Narcissa Malfoy, promising to protect the boy and if Draco cannot do his act, Snape will instead. These two plotlines are carried out throughout Half-Blood Prince, culminating in the film’s heart-pounding and emotional conclusion. The film’s serious moments are interspersed with lighthearted and humorous moments of quidditch and teen romance. There have been some complaints about the film’s hormones overload. The inclusion of teen romance is the best reminder that these characters, who have grown up before our eyes, are still very much young at heart. As Dumbledore said to Harry, “I’ve forgotten how much you’ve grown.” My only complaint is that these moments frequently make Ron and Hermione, the always dutiful sidekicks, hopeless,.loopy-eyed romantics. Or maybe that was just the love potion. Half-Blood Prince is predominantly a tale of two relationships: Harry and Dumbledore, and Dumbledore and Snape. The latter you only see small glimpses of throughout this film, but there is no doubt that it will make perfect sense following the series’ conclusion. Dumbledore and Harry’s mentor-father-son relationship has been much of the backbone of the Harry Potter series. In this particular film the depth of relationship is finally seen. This is epitomized by the simple scene that opens the film, when Harry is surrounded by reporters and Dumbledore tenderly places his hand on the young wizards shoulder. Michael Gambon truly shines as the aging wizard who has been faced with the most difficult task – knowing when he has given Harry enough tools to defeat Voldemort and knowing when to die. When the Harry Potter franchise is finally complete, Harry Potter and the Half Blood Prince will be best remembered for providing the necessary momentum as the series enters its final acts. Next Next post: Trailer Fix: Whip It!